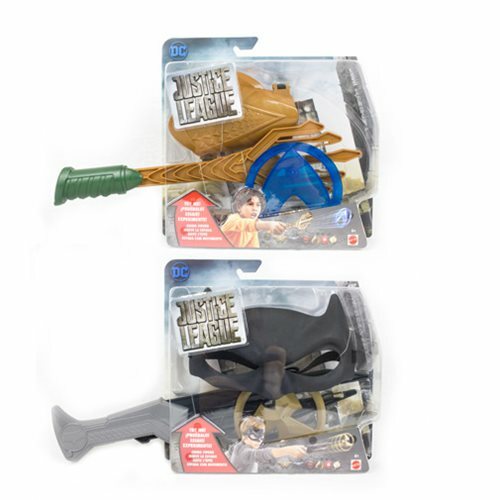 Suit up and fight for justice with this Justice League Movie Basic Gear Assortment Case, featuring 4 individually packaged pieces of battle gear from your favorite DC super heroes. Become your own hero with awesome gear, including an iconic sword, a disc, and a mask or gauntlet, that goes great with roleplaying costumes. Breakdown not available at this time..